Since I felt okra was the most dubious of vegetables, I had my hesitations when my friend Y placed a bowl of okra on our dinner table. Y’s family has been my source of home-cooked Japanese dishes and never did I ever have a bad dish in their home. 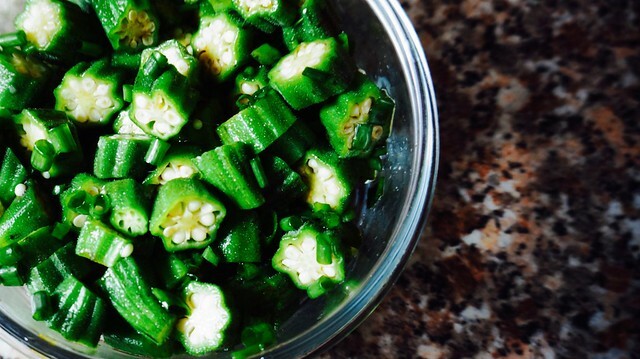 However, okra. OKRA!?! I didn’t even think okra was in the Japanese menu! I asked Y about the okra and she was quite enthusiastic about it. She noticed my raised brow yet she assured me that this okra tastes great and that her sister C had an awesome technique to make this okra work. Hence, I placed my doubts aside and gave that okra a shot. I guess, the rest is history. Okra’s a luxury here in Australia. It’s regularly at 13AUD/kilo which is roughly 600PHP which is crazy since we pay 40PHP or 1.5 AUD for kilo! So when I see fresh okra at a much lower price (I usually buy when it’s below 10 AUD), I buy a few and cook this refreshing okra dish. 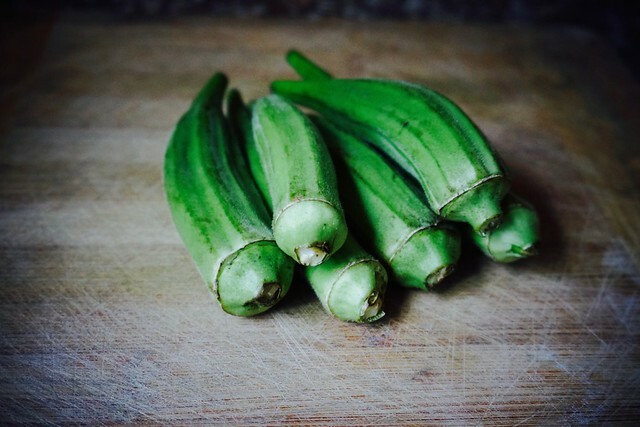 Boil water and place the clean whole okra for one minute or until the skin becomes a deeper shade of green. I usually sing twinkle twinkle little star twice before I take it off the heat. 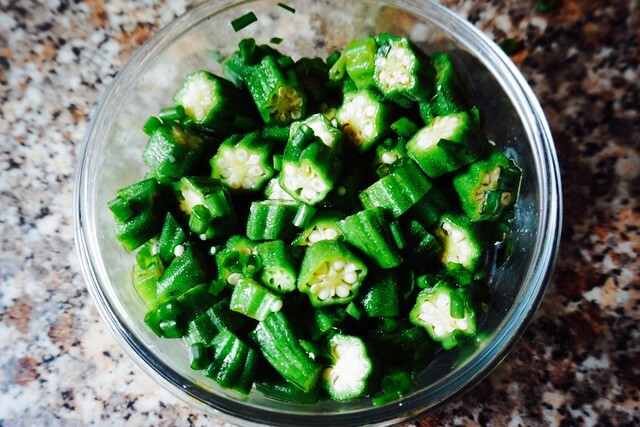 Drain the okra and immediately steep it in cold water. Cool it until it's mildly colder than your hand. In a bowl, mix the ponzu, ginger, okra, and spring onion. This keeps in the fridge for 2-4 days. It's a great side for bento!